Body Painting in Miami | Erika Monroy specialist in Body Painting in the city of Doral in Miami for professional models, events and celebrations. AKIN Body Painting offers one of a kind entertainment or promotional material for your upcoming events. Stand out by hiring AKIN BP for Corporate Event, Children Event Entertainment, to paint a model for your TV Program, Promotional Photo Shoot, Model Portfolio, Belly Painting, etc. 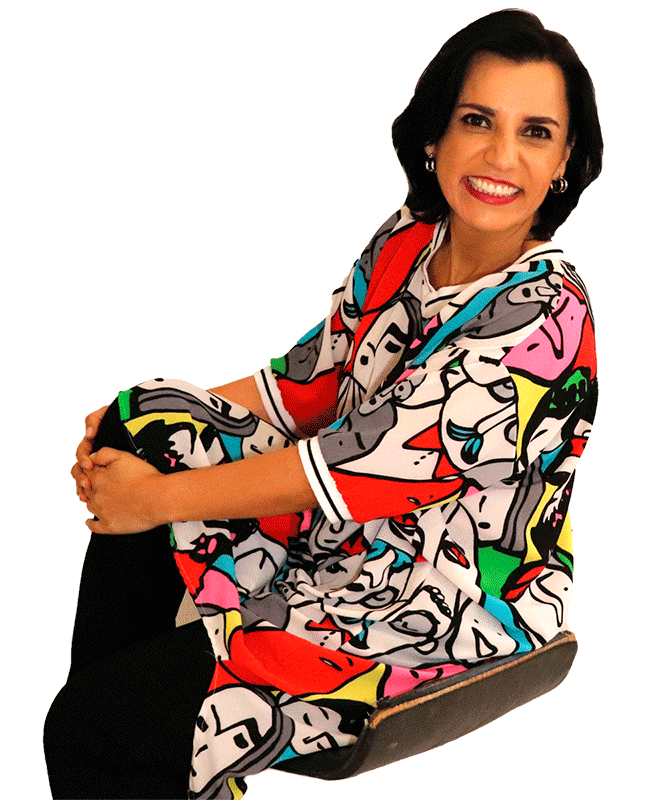 Erika Monroy has a Bachelor’s of Science in Clinical Psychology and a Master’s Degree in Educational Psychology. 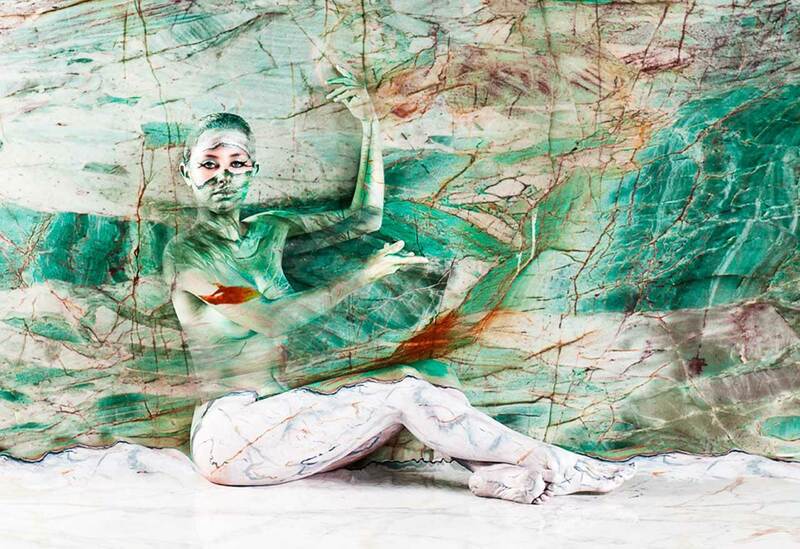 Erika lived in Ottawa, Canada where she had the opportunity to explore her interest in Body Make Up through interaction with makeup designers for the French-Canadian company Cirque du Soleil. This is how she became established as a Body Makeup Artist, also known as Body Painting. 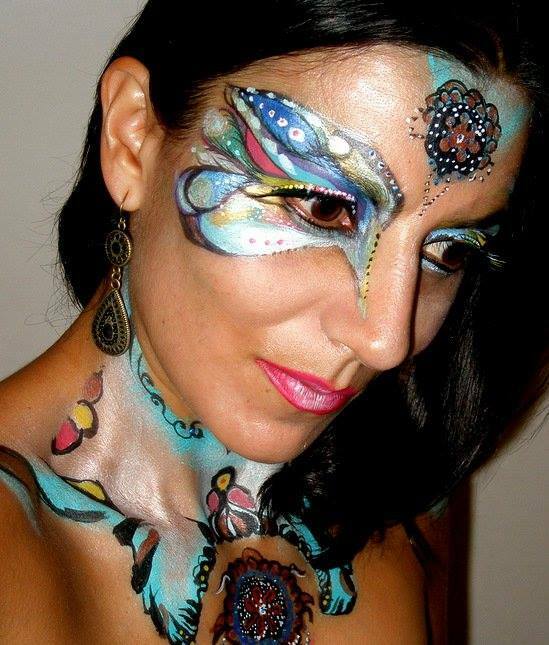 Erika currently lives in Miami, USA where she created AKIN Body Painting, a company specialized in social events, using Body Painting as a means of artistic expression. Erika has been invited to participate in several radio and television programs including: Univision, Telemundo, TV Azteca, Mega TV, TV Mexiquense, etc. She is constantly participating in festivals and art galleries and been interviewed for newspapers and magazines in both Mexico and the United States. She has had the opportunity to include her passion for travelling and exhibit her work in foreign countries such as: Italy, France, Mexico, Canada and Switzerland. Erika and her Photographer partner, Maria Garcés launched the BE YOU Collection™, a unique fashion and creative décor/merchandise line. She utilized her talent to hand-paint a group of models which performed the letters of the Alphabet in impressive feats of acrobatics. The BE YOU Collection™ presents a select set of key words which express optimistic thoughts, composed of Body Painted letters. She has managed to merge her knowledge and experience as a Clinical Psychologist, Educational Psychologist, and Body Make-Up Artist by developing the Interactive Workshop, Painting Emotions. Erika uses innovative techniques based on Body Painting and music in which the participants are given the opportunity to learn how to become aware and how to process emotions in order to become more productive at work/school and happier at home. Erika is grateful to have had the opportunity to reinvent herself and to have found a way to help people via one of the most primitive means of communication, the “Art of Transformation”, as she refers to Body Painting, to communicate and externalize ideas about the magic of life. Allow this painted exhibition to transport you throughout the different regions which make up the wonderful country of Colombia. Explore the five elements of nature through these painted models. Designed as an immersive elemental exhibition with Photographer Rodrigo Serna, Corpo Vivent is based on the prehistoric means of communication evoked by creating artwork on living canvases. Enjoy the magic of transformation through the unparalleled use of fluorescent body paint in which UltraViolet-reacting paint is used to portray the body’s living forms. 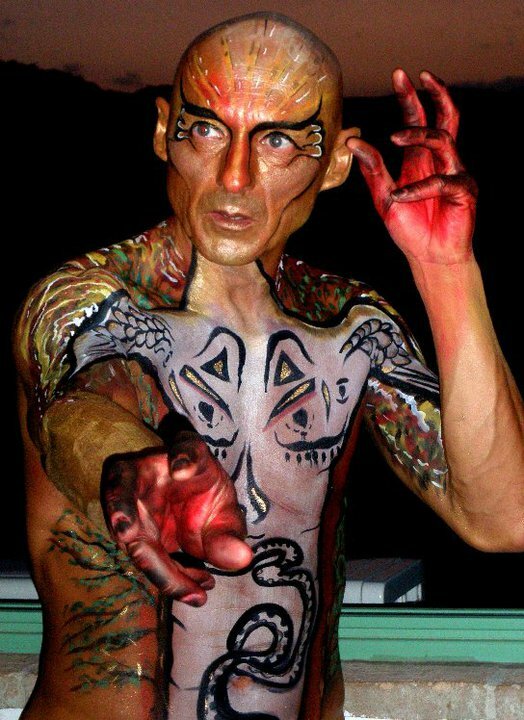 How Can AKIN Body Painting Serve You? Magazine Cover, Art Fest, Spiritual Retreatment, Belly painting, Fashion Show, Children Parties, Yoga Design photo shoot, Products marketing, CD covers, Work shop for design and art universities, Model portfolios, Halloween costumes, TV Programs, Parks, Subway stations… Any place where there is a body and body paint! 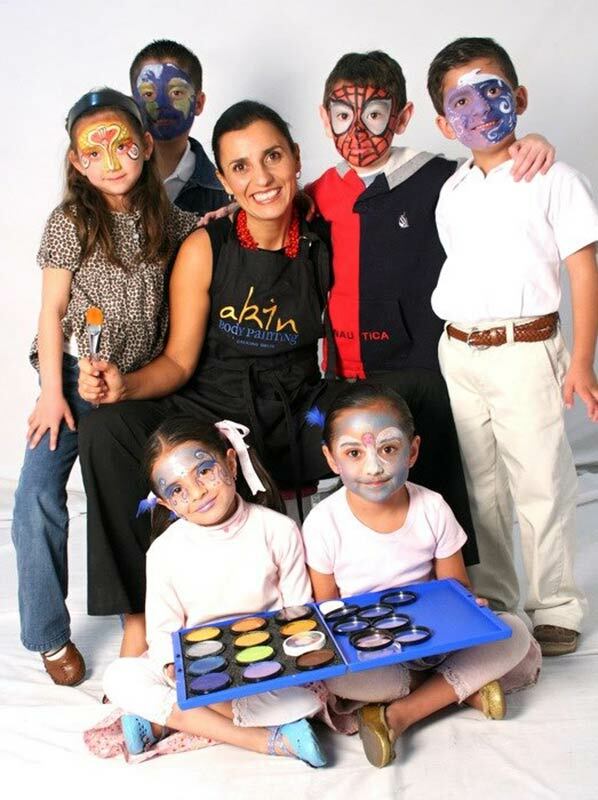 Hire AKIN Body Painting to provide Face Painting for your child’s birthday party, first communion, graduation, and other celebrations. Unique and unforgettable faces according to your event theme, these will remain in the children’s minds (and in your photo albums) through the art of transformation at the hands of Erika Monroy. Do not hesitate, contact us soon to reserve your event date! 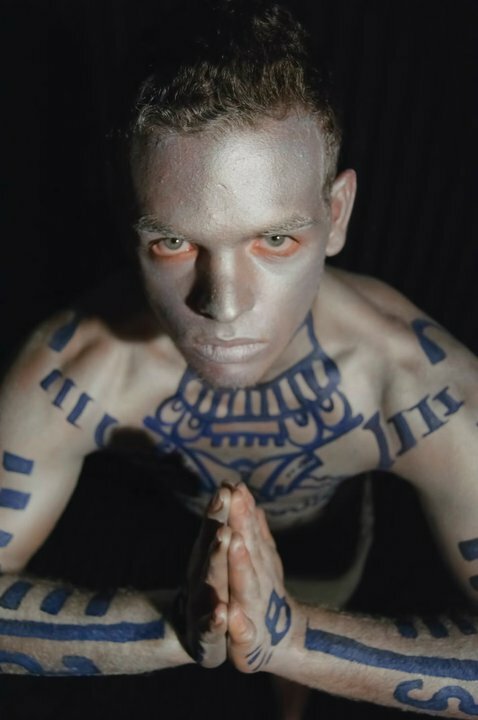 Stay up to date with recurring Body Painting updates! • CREATING SMILES LLC will not be held liable for any damage to property or injury to individuals. Model behavior and safety is the client’s responsibility. • CREATING SMILES LLC is not responsible for any allergic reaction.